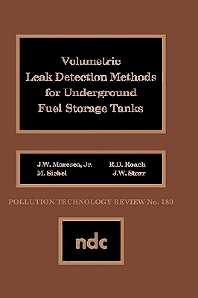 This report summarizes the technical findings of an EPA study which evaluated the viability of volumetric tanks tests as a means of detecting leaks in underground storage tanks. This report summarizes the technical findings of an EPA study which evaluated the viability of volumetric tanks tests as a means of detecting leaks in underground storage tanks. It explains the accuracy requirements specified in the EPA regulations concerning the testing of underground storage tanks for leaks, and presents information on which methods meet these regulations.